It’s been awhile since we’ve posted anything, and I never would have thought that I would break our silence with potato salad. But potato salad is definitely a favorite around here…we’ve posted quite a few! And this one is definitely my current favorite! I’ve made it two times in the last week, and also made a batch of just the pickled onions and celery for us to munch on with our sandwiches at lunch. And I hope I can make some time to post some of the other delicious things we’ve been eating this summer! In a large saucepan, cover potatoes with 2 inches of water; season with about a teaspoon of salt. Bring to a boil, cook until easily pierced with a knife, 12-15 minutes. Drain and let stand until cool enough to handle, about 15 minutes. Meanwhile, in a large bowl, whisk together vinegar, honey, 2 tsp salt, 1/4 tsp pepper, celery seeds, and dill. Add celery and onion and toss, and set aside to sit for about 15 minutes. Quarter potatoes when completely cool and add to bowl along with olive oil. Toss and serve. This simple potato salad was inspired by a recipe both Margaux and I made last year – and loved – that had many more ingredients, including tuna. My inspiration for this simpler version is that the green beans have been really good lately, along with the fact that I “over-bought” basil at yesterday’s farmer’s market. 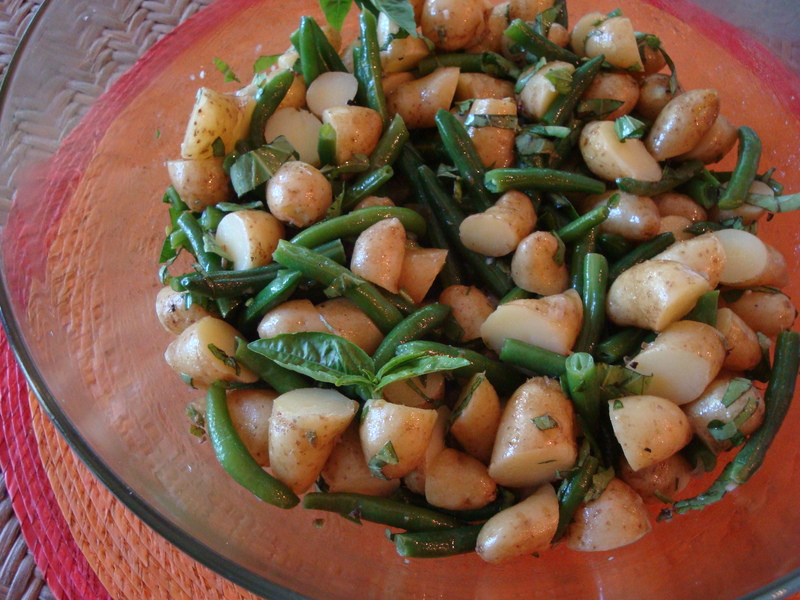 (I have a feeling you will be seeing a number of posts this week using basil :-)) It occurred to me that I could pare back the ingredients from the more complex salad to just potatoes, green beans and basil and use the dressing from that salad. It turned out great! 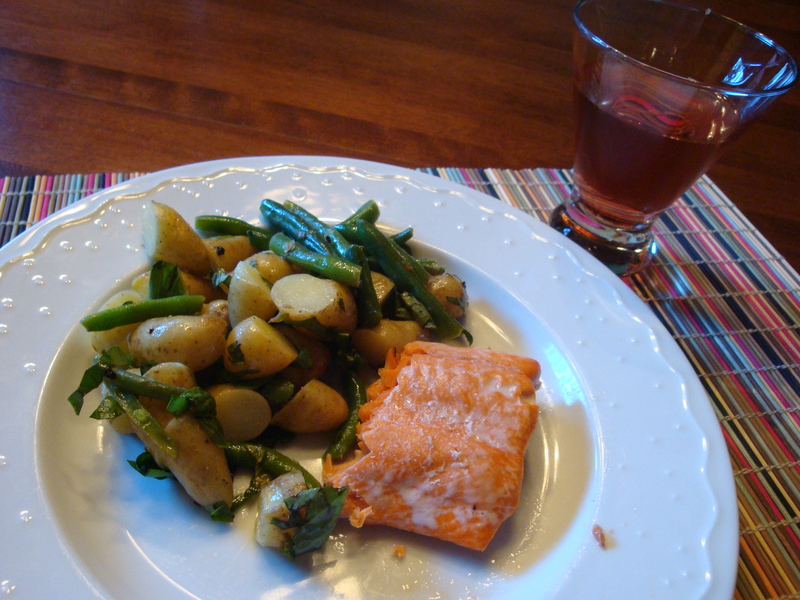 We served it with a beautiful piece of salmon from Wild Run Salmon, who also sell at the farmer’s markets in the area, and a refreshing French rose wine. Combine and whisk all ingredients till thorougly blended and a little emulsified. Add salt and freshly ground black pepper to taste. Place the potatoes into a medium saucepan and cover with water. Bring to a boil, turn down heat and simmer for about 15 minutes until potatoes can be pierced through with a fork. Place on a towel and let cool to room temperature. In the meantime, steam the green beans for 5-6 minutes until tender, but not overcooked. Immediately plunge into ice water to cool and then pat dry with a towel. 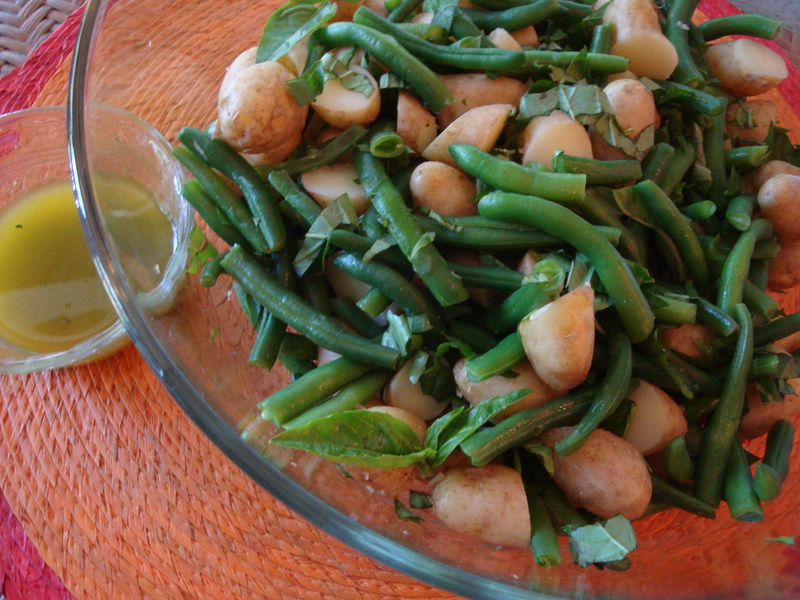 When both potatoes and beans are cool, combine them in a large bowl with the basil. Add the dressing and stir to thoroughly blend. Taste and add salt and black pepper if needed. Just when I’m stuck for something good to cook, Food and Wine pushes out a recipe into my Facebook feed that says “make me!”. 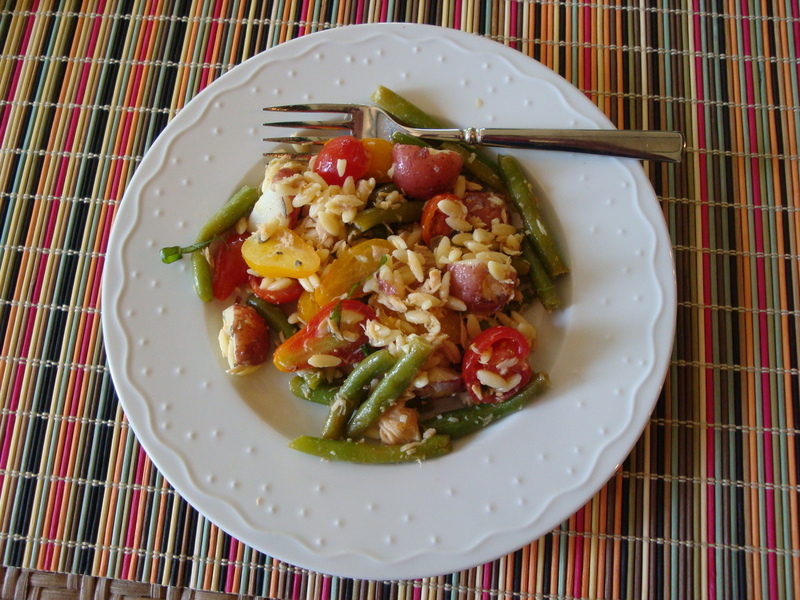 This one caught my eye – after all, it’s green bean season – and it is a winner! I did only a little tweaking of the amounts and method. This is definitely a recipe I will make again (and maybe again). This was delicious with a Pinot Grigio, but I have a hunch that the perfect match will be a dry French rose. Yes, Yes, Yes!!! This is an instant staple in our house. I couldn’t stop eating it the night I made it, and I can’t wait until I make it again. We had it with some crusty bread and a Sauvignon Blanc. But I agree about the rose…we’ll do that next time. 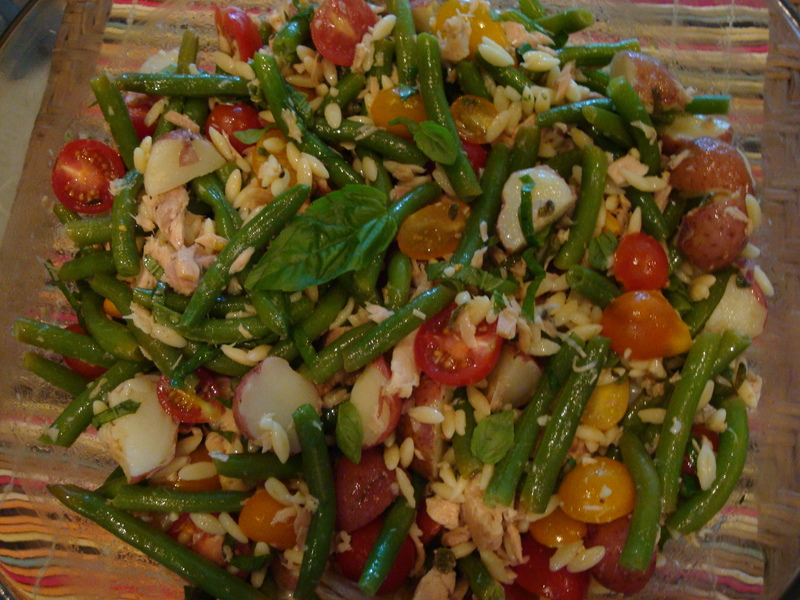 Update July 1, 2013 – this is delicious without the tuna as a side salad. I just made it and served with grilled chicken and it was outstanding. I’ve always wondered why someone would think to put orzo with potato salad, but this time I really noticed the mouth appeal of that combination and understood completely! 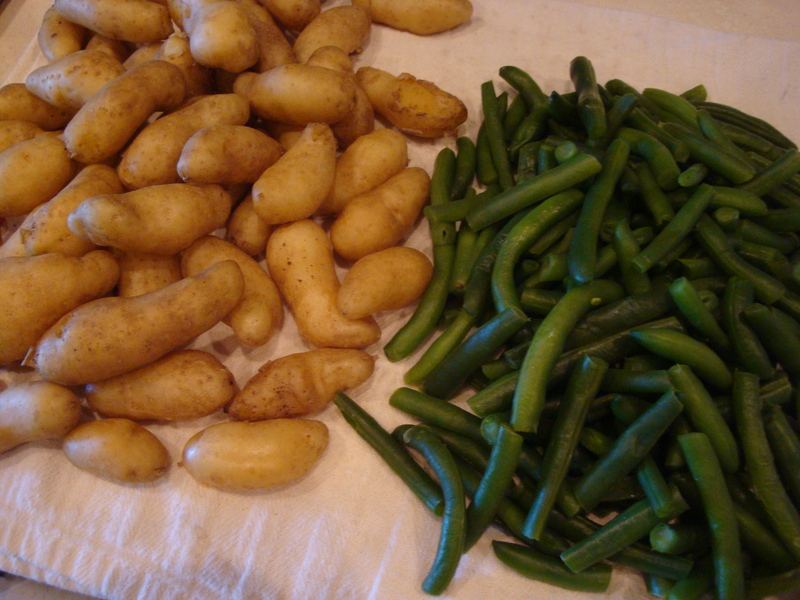 Place green beans in a steamer, bring water to a boil and steam for 5 minutes or until tender. Drain and place in a large bowl. At the same time, place unpeeled potatoes in a pot and cover with water. Bring to a boil, reduce heat and simmer for 15 minutes until tender. Drain and cool slightly. Slice in half or quarters depending on size. Add to the bowl with the green beans. Cook the orzo according to directions. Add to the bowl. Add 3/4 of the dressing while this mixture is still warm and gently stir to blend. Slice the tomatoes in half. Chop the basil and parsley. Add the tomatoes, herbs and the tuna to the bowl with the remainder of the dressing. Gently toss to coat all ingredients with the dressing and thoroughly blend. Garnish with a few small basil leaves. Serve in individual bowls on a bed of lettuce. If you’re getting the impression that Margaux and I like potato salad, you are correct! 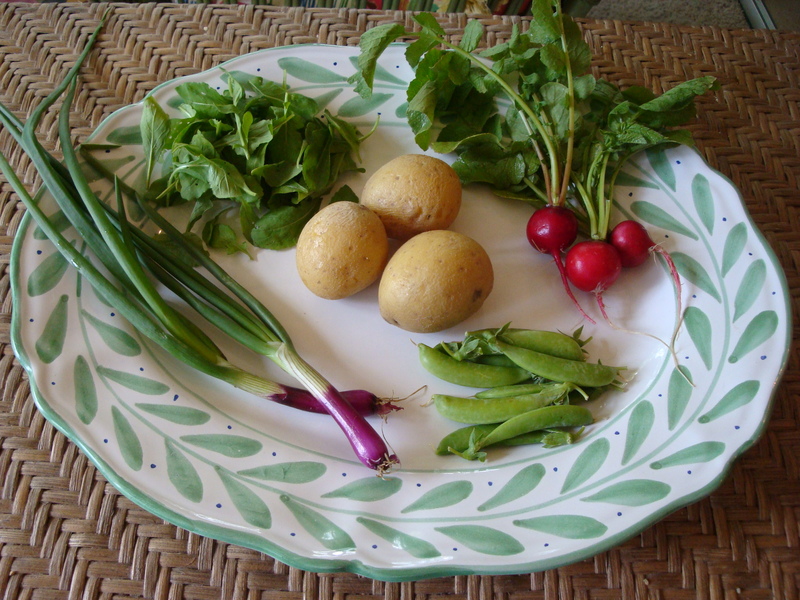 As I said in my Mediterannean Potato Salad post, I enjoy concocting salads using seasonal ingredients. Right now we are at peak season for arugula, radishes and spring onions, which inspired this recipe. 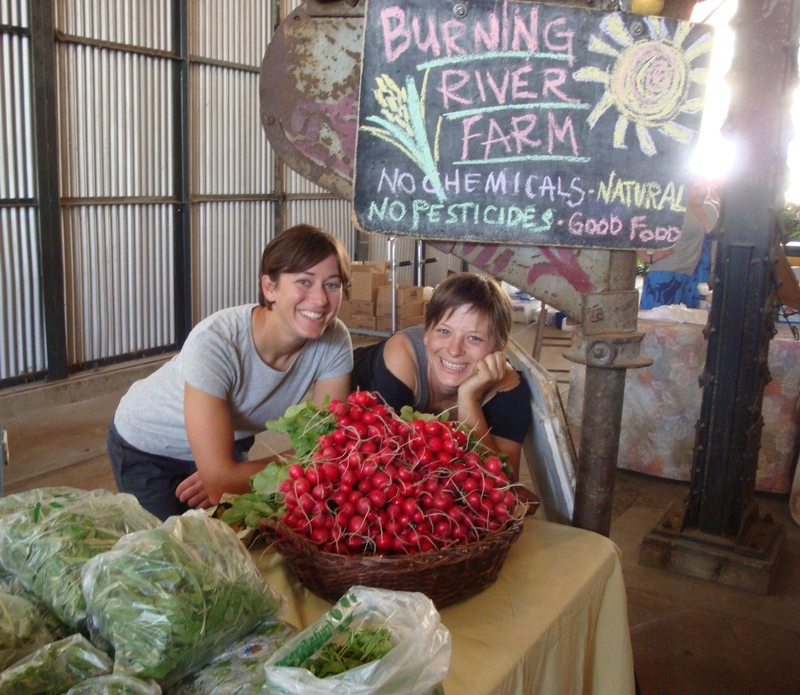 We are lucky to have Burning River Farm at Mill City Farmer’s Market here in the Twin Cities – they grow the best baby arugula (and many other delicious produce items)! Fire up the grill! This recipe – no eggs, no mayo and no dairy – will go with anything you might be grilling! Place whole unpeeled potatoes in a large pot and cover with water. Bring to a boil, reduce heat and simmer for 15-20 minutes until just tender. Place in a single layer on a towel and let cool. While potatoes are cooling, prepare the other vegetables. Remove the strings from the sugar snaps and then slice into 1/4-1/2-inch segments. Thinly slice the radishes – if large, cut in half before slicing. Thinly slice the spring onions. Wash the arugula and remove any long or thick stems. 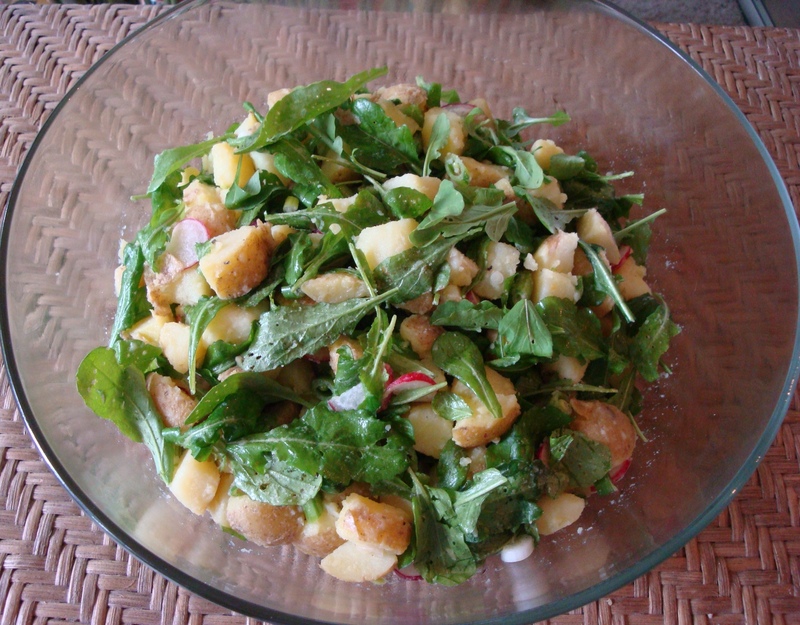 If using regular vs. baby arugula, chop into smaller pieces. Wrap the arugula in a towel to dry. When the potatoes are cool, cut into 1/2-3/4-inch pieces. Place all vegetables except the arugula in large bowl. Place all dressing ingredients into a bowl or the cup that comes along with your hand-held blender. Use the blender to emulsify the dressing, about 2 minutes. You can make this with a hand whisk, but I think the dressing works better when slightly emulsified. Pour the dressing over the potatoes and mix to blend. I like using my hands to do this. Add the arugula and gently toss to blend in and coat with the dressing. It’s potato salad season! I love exploring different kinds of potato salads and saw this one in a recent Coop flyer. I usually base the type of potato salad I cook on the season and what’s available. The nice thing about this one is that it could be made year round given the ingredients. And what’s not to like about opening a few cans for many of the ingredients?!! Of course all amounts can be varied to personal taste! I didn’t help make this one at all, but it was delicious to eat! And it looked pretty easy to make. 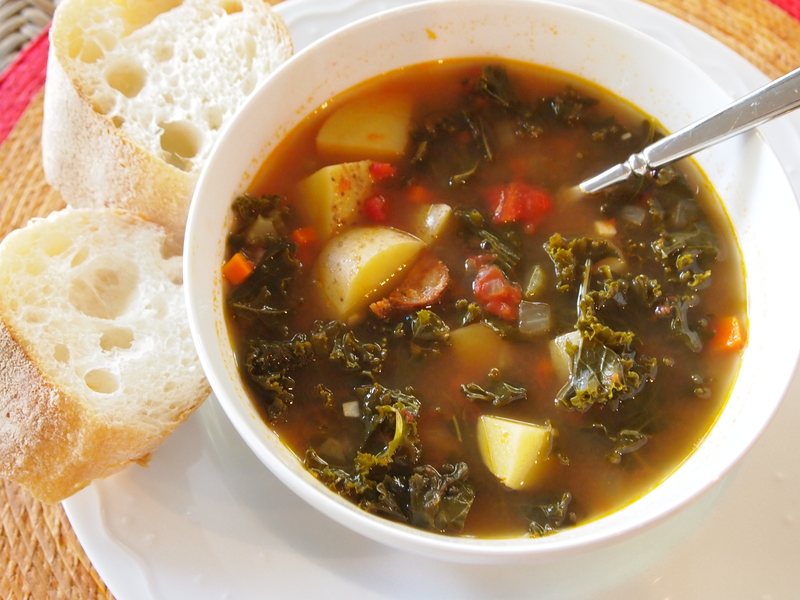 I also think this would be good served warm as a side dish in the fall or winter. Preheat oven to 375 degrees F. Wash and scrub the potatoes and then quarter or chunk them so all pieces are roughly the same size. Place in a large mixing bowl. Process the garlic through a press or mince, then add to the potatoes along with the olive oil. 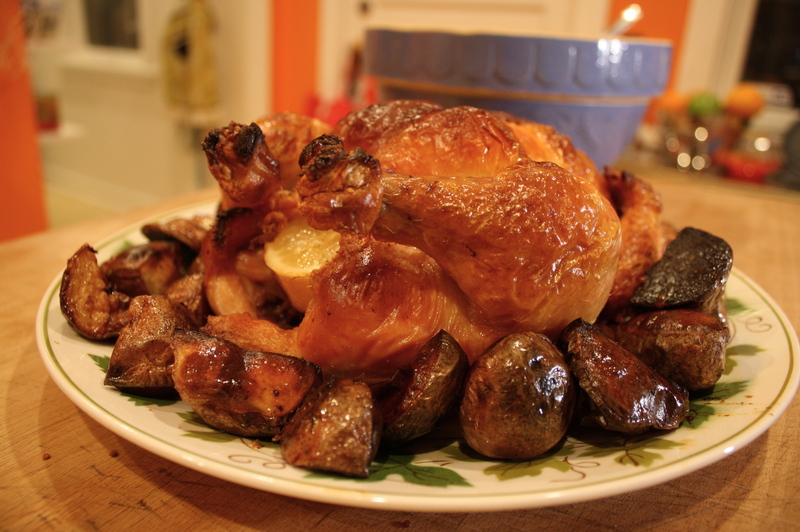 Place on a baking sheet and roast in the oven till crisp on the outside and tender – approximately 30 minutes. Remove from oven and set aside to partially cool. While the potatoes are roasting, whisk together the dressing ingredients until thoroughly combined and starting to emulsify. 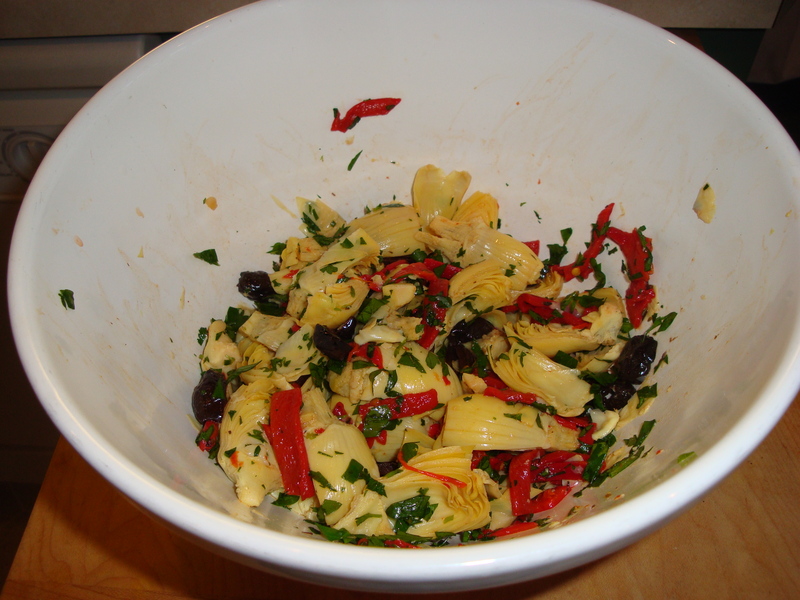 In a large mixing bowl, combine the artichokes, red peppers, olives, oregano and parsley. Add the dressing and mix well. Add the potatoes while still warm. Let cool to room temperature, stirring occasionally. Serve at room temperature. Boil potatoes in salted water until just tender, about 15 minutes. 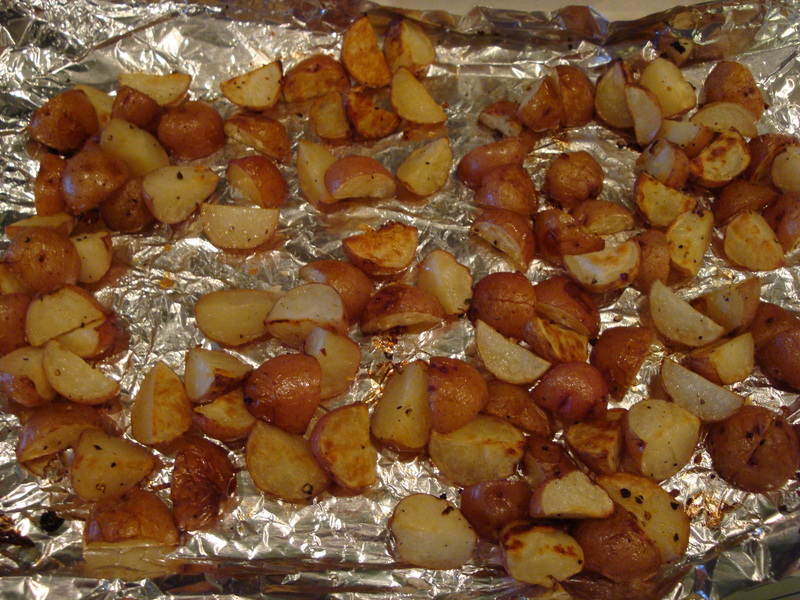 Place cooked potatoes into a 9×13″ glass baking dish, and pour olive oil, vinegar, salt and pepper over them. Cover with plastic wrap and refrigerate for at least 4 hours, up to overnight. 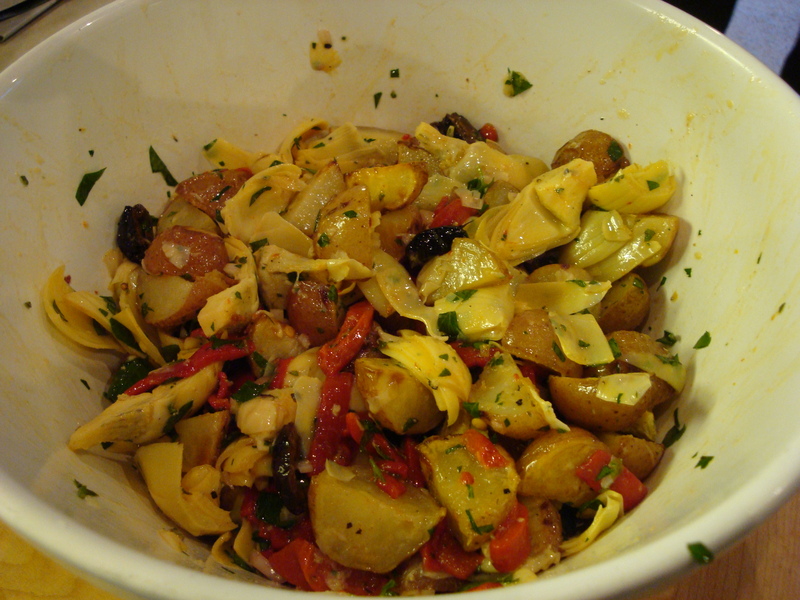 In a large bowl, combine marinated potatoes, olives, celery, cucumber, pimento, onion, and one of the eggs. Gently mix in the mayo. 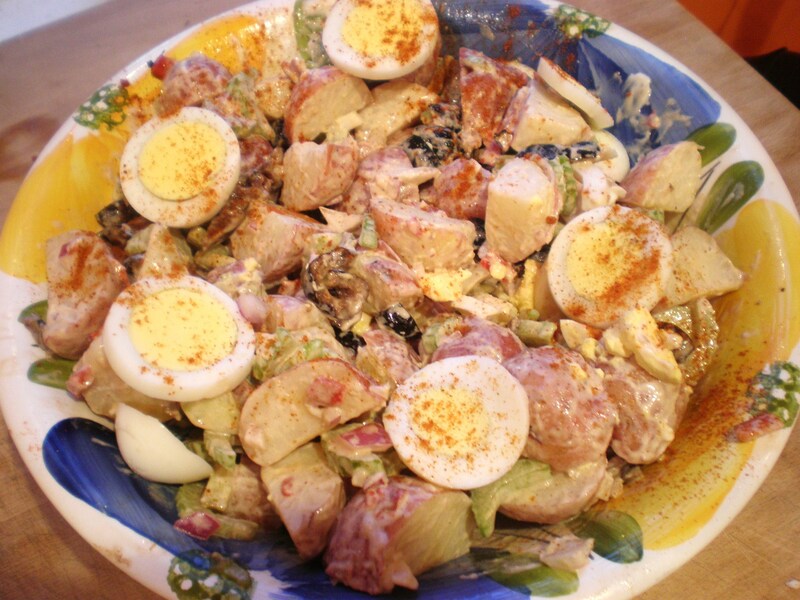 Top salad with the other sliced egg, and sprinkle with paprika. We usually just use canned black olives, but its really way better when you get oil-cured black olives from the olive bar at your grocery store. Also, Grandma, my mom and I have always put radishes in it, and omitted the pimento. But when I saw the original recipe, it had pimento and no radishes, so I tried that version and loved it. I thought it went really well with the olives. I also got the pimento at the olive bar instead of jarred (they’re thinly sliced roasted red peppers). My mom thinks that Grandma just didn’t like pimento, so she substituted the radishes to keep the splash of red color. I’m wondering if she also did it because radishes were always in the garden, pimento is not. 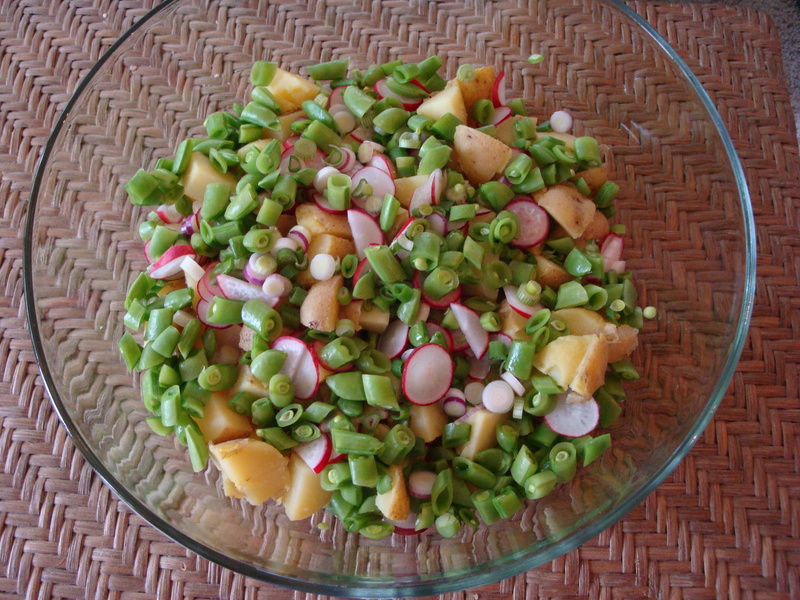 But if you agree that pimento isn’t your thing, the radishes are also quite good in it. 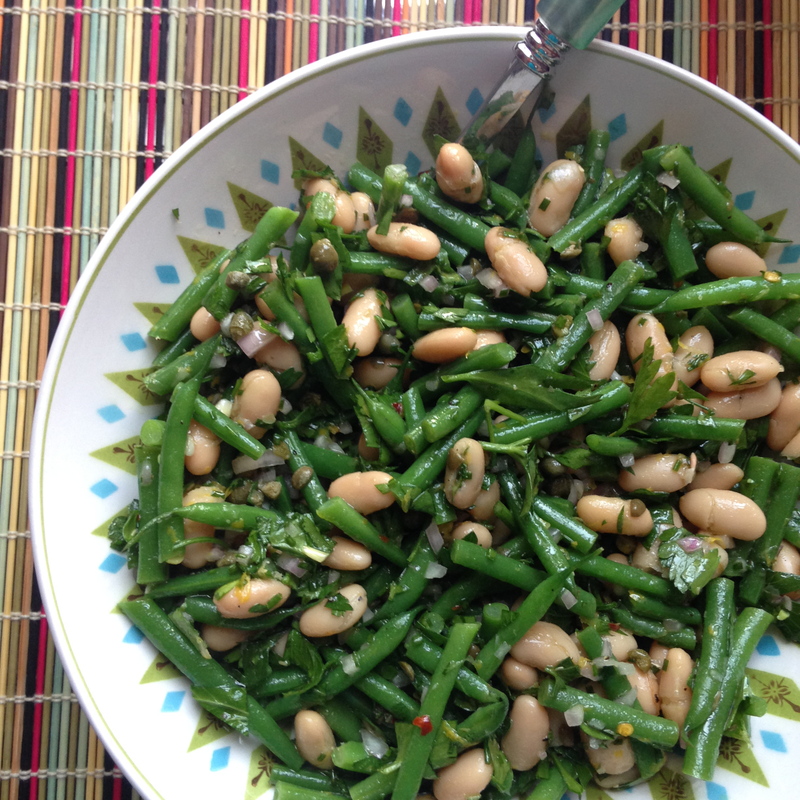 Bean Salad – a modern take on a classic! 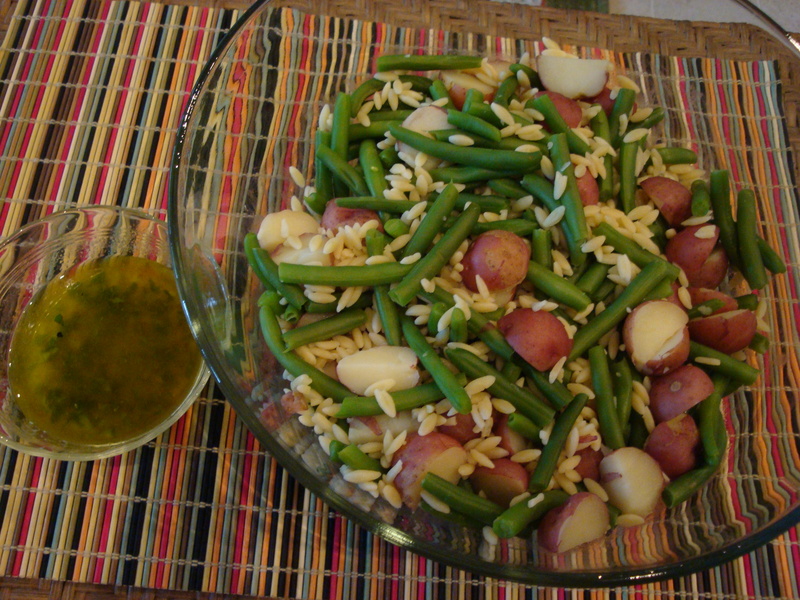 We love green bean salads in the summer here at S&SK, so when I saw this recipe I knew I had to make it. 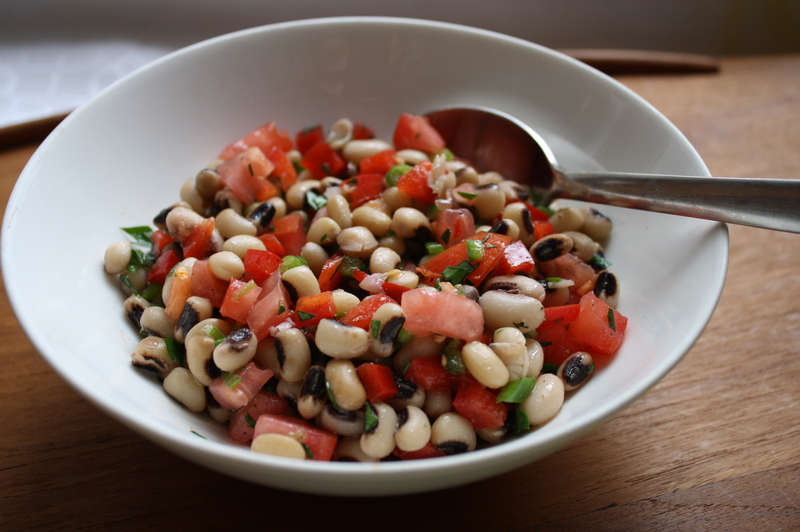 Plus, it reminded me of the long forgotten 3-bean salad of my growing up. So long forgotten that I kept wracking my brain as to what the 3rd bean was. I knew it included canned green beans and canned kidney beans, but I couldn’t for the life of me remember the 3rd bean. So of course I googled it and saw that it was wax beans! So if you want this recipe to look like the classic but taste 21st century, you could make it with green and wax beans (at farmer’s markets up here right now) and kidney beans. 🙂 We served this with potato salad and grilled meats. Yum! We loved this recipe! 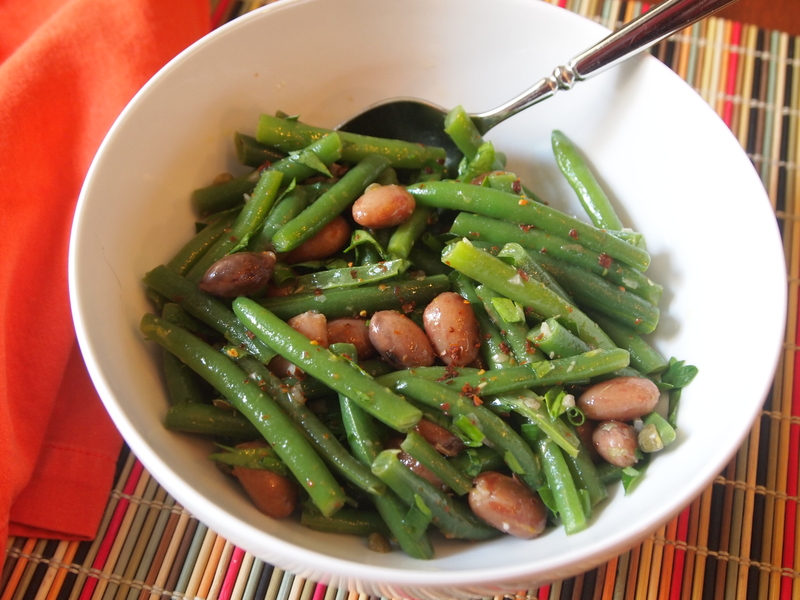 I’m always looking for new ways to prepare green beans because it is a family favorite. The flavor in this salad is amazing, with the capers, herbs, shallot and lemon. I used canned cannellini beans. I served it with California burgers and corn on the cob…perfect summer weeknight meal. Cook the dried or fresh shell beans according to directions. Drain and set aside to cool. Alternatively, open the can, rinse and drain. Cook the green beans (and wax beans if using). Place in steamer, bring water to a boil and steam for 5-6 minutes. Alternatively, cover in water, bring to a boil and simmer for 5-6 minutes. Either way, drain, place back in the pan, cover with cold water and ice to cool down and stop the cooking. Once cool, drain and dry with paper towels. Place both types of beans in a large bowl. Add the parsley, chives, capers and lemon zest. Whisk together the olive oil, lemon juice, the shallot, the red pepper and salt/black pepper to taste. Pour the dressing over the bean mixture and mix thoroughly, best done with your hands. I’m kind of a salad fanatic, and it’s one of the reasons I’m so excited about having warm weather finally! So far I’ve made this pasta salad, several quinoa salads, including this one and this (which is one of my favorites), and I can’t wait to make potato salads, especially this one. Platter salads are another favorite for us, and we’ve already had my favorite Cobb salad, even when it wasn’t that warm yet. I couldn’t wait. This is a salad that has become kind of a summer standard here over the past few years. When my son was an infant and I was stuck to the couch for hours on end either nursing him or “napping” with him, I would watch endless amounts of TV, a lot of that being the Food Network. I’ve always liked cooking, but I think that’s when I really got my love of cooking, and I would try out tons of the recipes I saw on TV. This was one of them, on “The Neely’s” (a show I didn’t often watch, by the way, but I’m glad I caught this episode). I don’t really ever watch Food Network anymore, but I’m glad I did because a lot of my standard recipes came from that year of watching. In a separate small bowl, whisk together the rice wine vinegar, canola oil, sugar, and salt and pepper. Toss all together and let marinate for at up to 8 hours in the refrigerator before serving. I think my mom got this recipe from a chef friend-of-a-friend several years ago…I’m kind of cloudy on the details of where it came from. But what I do remember is that we tried it right away (mainly out of curiosity-it sounded to easy to be true), and it was fabulous. I have since made it many, many times. I make it for company, for regular week-day meals, and for weekend “special” meals. It only takes an hour (well, an hour and five minutes, for the prep time of cutting potatoes), and it’s only 3 ingredients. The only down-side is that your house will get smoky, the fire alarm may go off, and you will need to clean your oven. I always make it when my oven is already pretty dirty, and ready for me to run the self-clean cycle. 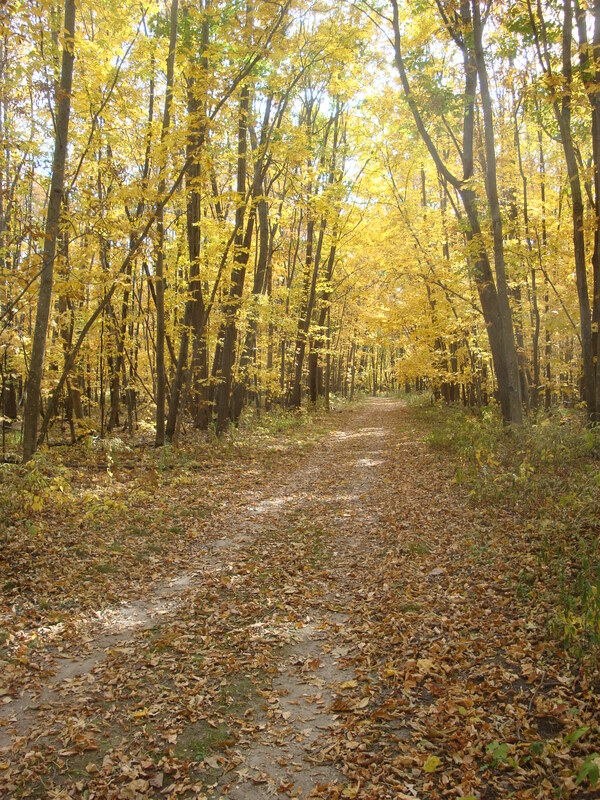 As many times as I’ve made this, I’ve never altered or added anything. It turns out perfectly every time, so what’s to mess with? I’ve used all three citrus fruit options, and there really isn’t a difference in the flavor of the chicken, in my opinion. I usually serve it with a vegetable, like steamed green beans or sauteed spinach, but tonight I made this quinoa salad with it and it was great! Preheat oven to 500 degrees. Rinse and pat-dry chicken, and place breast-side up in the pan. Place citrus fruit into cavity of chicken, and tie legs together with kitchen twine. Place potatoes around the chicken in the pan, as close to the chicken as you can get them. Roast for 1 hour. Remove from the oven and allow to sit for about 15 minutes before carving.